Sitting in the county of Hampshire surrounded by beautiful countryside, Andover is a town on the River Anton around 25 miles north of Southampton. With a population of 64,000, there’s a wide range of properties to choose from in the area, from cosy terraces to spacious detached homes. At My Home Move Conveyancing we offer a specialist, fixed fee conveyancing service, and have been developing our knowledge and expertise of local property markets since 2001. You’ll need to instruct property lawyers to complete the legal work on your behalf when buying or selling property in Andover. 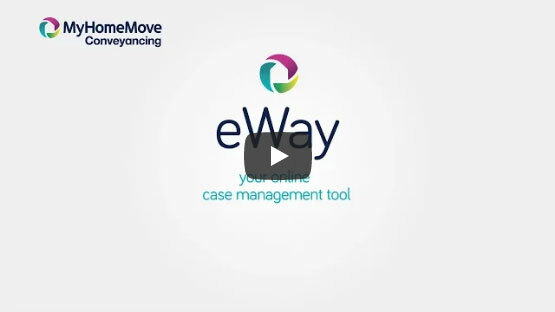 By choosing My Home Move Conveyancing to be your Andover conveyancers, you’ll receive the full benefit of our award winning customer service, innovative use of technology and positive approach to everything we do. Our conveyancing service is fixed fee, meaning there are no hidden costs to add to the stress of moving, and you can plan exactly how much you’ll be paying from the outset. Moreover, if you don’t end up completing for some reason, you won’t have to pay us anything in legal fees. We assign all of our clients a dedicated conveyancer, who will act on your behalf from start to finish, providing you with clear updates on the progress of your case, a consistent point of contact, and a high level of expertise. At My Home Move Conveyancing we can provide our conveyancing services in Andover to homebuyers across the local area, from those looking for something in the town centre to areas further out such as Charlton, Foxcotte and East Anton. The average house price in the Test Valley is £313,320, while in Andover the overall sale price in the last year was lower than this at £251,929. Most sales involved terraces, which went for an average price of £213,719. Detached properties fetched £360,677, while semis sold for £256,946. Even with a history that stretches back to the tenth century, it wasn’t until the 19th century that the town’s size really started to increase. The Ministry of Defence is Andover’s biggest employers, and the town is home to the Army Headquarters. With the North Wessex Down on its doorstep, there are plenty of opportunities for enjoying the beautiful local countryside. There are also plenty of good transport links, with the A303 road linking the town to the M3 motorway in around 15 minutes. Andover has its own train station, which puts on services to places such as Basingstoke, Woking and London. The journey to London Waterloo takes just over an hour, while Heathrow Airport can be reached in a similar amount of time by car. If you have young children and need to find a good primary school in Andover, St. John the Baptist School on Floral Way just off Salisbury Road is among the best options. Portway Junior, Anton Junior and Knight’s Enham Junior are among the other primary choices. If your kids are of secondary age, the options include Harrow Way Community and John Hanson Community. All properties in Andoverwill fall within one of the following council tax bands.